It’s Ida’s first day of school. She carries her new lunch box and a long, blue string with her special friend Dotty attached to it. A big, colorfully spotted pal with horns, Dotty just happens to be invisible. 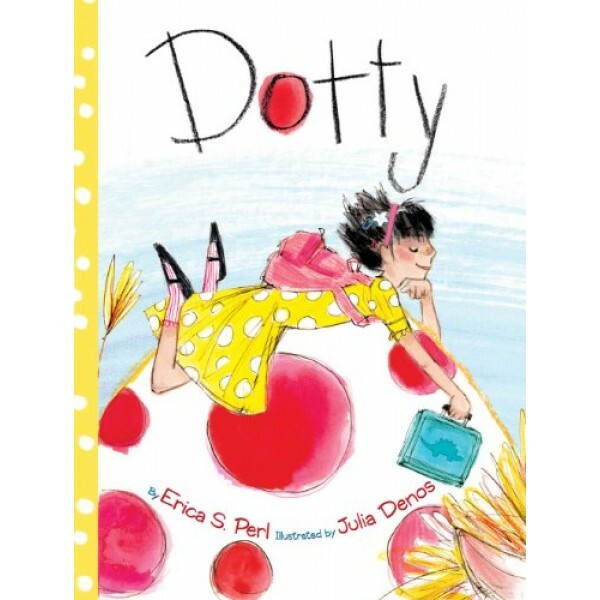 On that first day of school, Ida and Dotty find out there are plenty of other imaginary friends in attendance. But as the year passes and fewer and fewer imaginary friends come to class, Ida begins to wonder if Dotty is welcome at school anymore . 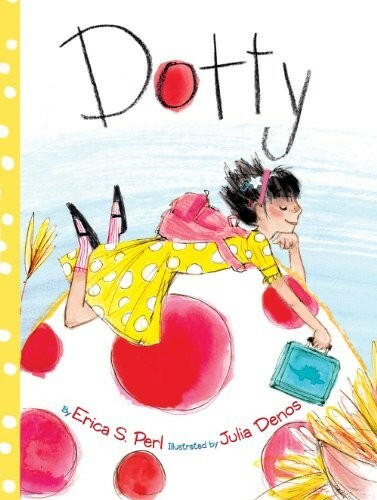 . .
Perceptive and warmly funny, with charming art from exciting illustrator Julia Denos, Dotty is a celebration of the power of friendship and imagination.